Through emptiness we are born, we live in emptiness, and into emptiness we return. For you cannot debate about emptiness, you can only be empty. A dialogue with the truth is not possible through debate. Everything else can become a religious lecture, or an educational talk, but not emptiness. Emptiness is always now. That is the truth. Can you see it? With the very effort to see it, it’s no longer now. With the very effort to say anything about it, it’s no longer here. Even a single thought is enough and the emptiness disappears, and the truth is no more. I cannot talk about emptiness because its nature is thoughtlessness. So ‘What’ are we searching then for? The search of ‘What’ is not the search for emptiness, but the truth of it. I cannot talk about emptiness, but I can talk about the truth of it. I will sit on the mind and ride the thoughts of the truth to help you be aware of your own thoughts, and emptiness might give you the truth beyond your mind. But there is no guarantee. There is no guarantee that I will succeed in helping you to remove your thoughts. Deep down in your mind you might not want it, you might be scared of the disconnection from it, or you might be indifferent to my attempts to help you remove your thoughts. You choose. I am indifferent to your choice. But I am not in-different to your truth because your truth is my truth as well. Actually, there is no my truth and your truth, only the truth right now. This book leads you in a straightforward and clear way towards your own answers to some of the most difficult questions through the history of humanity, such as Who am I, What is the meaning of life and What is God. The Truth is a timely resource, a guide, and support for the evolution of a threatened species. Using straightforward language, Ivan offers practical advice on how to surrender to the complexities created by the personality in order to live an authentic, joyful, and creative life. 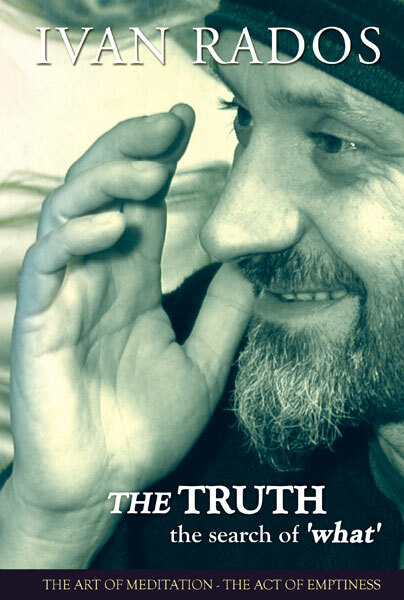 The Truth is a meditative guide to wholeness for people striving for authenticity. This wise book effectively guides you along an exciting, compassionate journey where you can accept yourself for who you are and the way existence is so you can finally feel harmony.